For anyone who belongs to a group, be it of seniors, church groups, ladies crafting clubs and the like, you know as well as I do, that Christmas is a time when people are not only out shopping for handmade items, but they are also on the look out for Classic Bake Sale Goodies. The old adage is true, “Nothing says Loving, like something fresh from the oven!” So Christmas Bake Sales tend to do a brisk business and help whatever group it is raise some much needed cash too! I love bundt cakes, they are easy to make, taste great, look appetizing and generally are very well accepted by the multitudes. 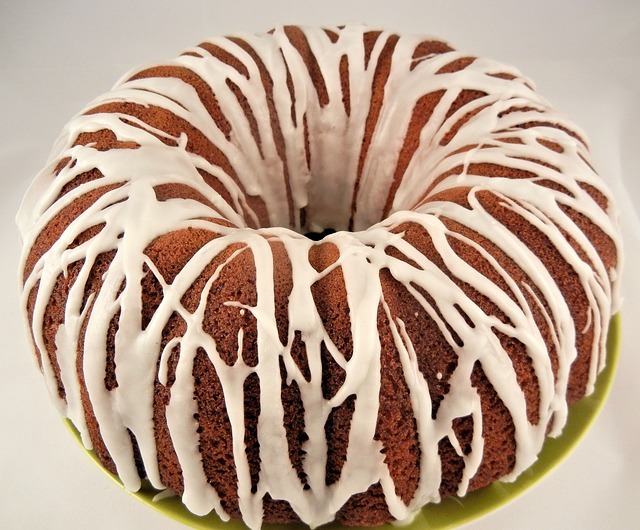 To that end, I have found this recipe for a Lemon Bundt Cake and I’m sharing here with you! P;ace your baking rack in the middle of the oven and preheat the oven to 350 degrees. Generously butter and flour a 10 to 12 cup Bundt pan. In a bowl, combine the flour, baking powder, baking soda and salt. Set the aside. Cream the butter and sugar and the lemon zest with an electric mixer until light and fluffy. Add the eggs one at a time, beating until smooth. At low speed, add the dry ingredients slowly, alternating with the lemon juice and milk, beating until just smooth. Spread the batter in the pan and bake for 45 minutes or until a toothpick inserted in the centre of the cake comes out clean. Let cool for 15 minutes. Unmould and let cool completely on a wire rack. If you opted for using the icing sugar, now is the time to dust it with the sugar. Alternatively you can also make a drizzle with the icing sugar and lemon juice making a watery paste and from a spoon held over the cake, drizzle the sugary icing all around the Bundt Cake. I would call this just a little bit of heaven with a nice cup of coffee or tea. These are some of my favorite bundt pans especially around the holidays. The smaller multi-bundt pans are perfect for those fundraising bake sales and the shapes they come in make them just so special to look at and receive as gifts. The smaller multi-pans also take just a little less baking time in the oven start to check after about 35 minutes of baking.